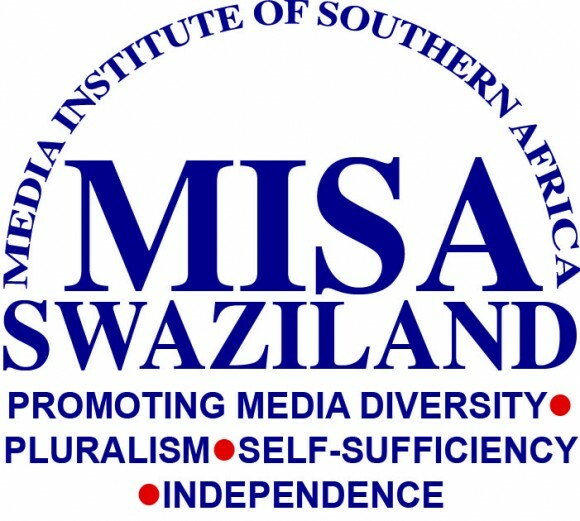 The following speech was made by Vuyisile Hlatshwayo, national director of Swaziland’s Media Institute of Southern Africa, at a conference on free speech in Pretoria on August 20 2013. The conference was organised by the African Union’s Commission on Human and Peoples’ Rights, Media Institute of Southern Africa, and University of Pretoria’s Centre for Human Rights. Hlatshwayo argues that good, informed journalism and editorial content requires reporters and editors to read as widely as possible. Journalists have been attending short, specialised courses in technical subjects locally, regionally and internationally for years. Not only that, some would have left university with minors in political science, development studies, sociology, psychology, and economics. The aim is to “equip students with knowledge and skills to be able to analyse, interpret and report on political and economic issues at national and international levels”. As long as they have passed the exams in the subjects, the assumption is that they have been equipped with the technical knowledge and skills they need to report on political and economic issues. Unfortunately, most of them graduate with little understanding of issues deriving from these areas. Thus, developing editorial capacity in the newsroom for specialisation becomes difficult (Djokotoe 2004). In spite of all this journalism training, the enlightened readers continue to complain about poor quality of editorial content. One of the criticisms levelled against journalists is that they do not read. As such, they are not conversant with current national, regional and international affairs or with general knowledge. Consequently, whatever they report is superficial and lacking in depth, context, background, and analysis. The benefits of these training interventions, whether short courses or long-term study, are not reflected in the editorial content. This raises the concerns about whether it is indeed possible to build capacity of journalists to report technical subjects and issues through formal training. The worry for trainers, either through formal education or on-the-job training, is what to teach that will neither be forgotten nor discarded, but will endure in the minds of trainees, or help them in their work. This dilemma also raises questions about whether such interventions should be geared towards training or towards education, and how to make trainees more responsible for their learning. Scholars draw a distinction between training and education. But the fact is: training and education are not entirely separate activities. I subscribe to Paulo Friere’s idea of education and training that is liberating. Friere, the author of Education for Critical Thinking Consciousness (1973) and Pedagogy of the Oppressed (1990), argues that the best form of training is that which enables trainees to build on existing knowledge through planned processes and experiences that entail discovery and creation of knowledge. For Djokotoe (2004), these “planned processes and experiences that entail discovery” can be summed up in two words: extensive reading. He refers to a situation where individual journalists plan the process of their discovery based on the premise that learning does not end with completion of a particular course. Extensive reading is wide and indiscriminate reading that is not restricted by or confined to the perimeters of individual reader preferences and tastes. There are many benefits in extensive reading. Besides the functional benefit of reading for knowledge and information, there is the pleasure of discovery, of making contact with ideas, with issues, with expression. Extensive reading has made the world a lot easier to figure out. I want to believe that it is perhaps the most practical means for journalists have for developing their capacity for issue-based journalism. Djokotoe (2006) argues if journalists do not read, they will not develop capacity for issue-based journalism. The point is: once journalists realise that extensive reading can greatly enhance their knowledge as well as their ability to identify and recognise tangible issue-based story ideas, they will need to make time to read. What and how much they choose to read should be an individual decision as reading becomes a habit they will sustain from week-to-week, month-to-month and year-to-year. Extensive reading has another practical advantage: it helps journalists build capacity for the other aspects of research, such as the interview. A well-read and well-informed journalist is better to get the best out of an interview with an equally well-informed source than one who is neither well-read nor well–informed. Djokotoe, Edem. 2004. An issue-based journalism handbook. MISA-Zambia National Chapter. Thor, Clas, Antwi, Ransford & Olivier, Willie. 2006. Use media to teach media: ideas for media users. NSJ Southern Africa Media Training Trust. The title of the conference, where the speech was delivered, was ‘Southern African consultation on the decriminalisation of laws limited freedom of expression and the safety of journalists’. It was held on August 20-21 2013 in Pretoria, capital of South Africa. Tags: African Union, AU, journalism, Pretoria, reading, training, University of Pretoria, Vuyisile Hlatshwayo. Bookmark the permalink. Great paper, its true without a read journalist there is very little that journalist can offer to consumers. Politicians, economists etc, are quick to tell if a journalist is a tick one . I’ve not seen an depth investigation and analysis of the on going disappearing of Swazi children at this time of elections in Swaziland. For instance, what barring does it have to the Swazi polity, what is the monarchy saying about this? As long as its not clear what criteria is used to appoint people in the country’s powerful positions, such madness will continue as people will try every possible magic to win the heart of the appointing authority. It remains a shame that the August House will be occupied by people who may be suspected to have killed in order to win the hearts of unsuspecting voters. We therefore, need issue driven journalism instead of event driven. Traditional healers need to be engaged for specific information and possible leads that may expose the people behind the wayward behaviour. That need strong, determined and experienced journalists who will be prepared to go the extra mile to get the truth. Many other issues in my view are not given the attention and seriousness they deserve, one wonders whether this is done on purpose or there other reasons best known by our journalist that force them not to follow the issues. Its very unfortunate though, that as much as there are journalists willing to persure their call there are elements within government that want to ensure that journalists don’t succeed in telling the truth. Further, as long as experienced and learned scribes are slowly shoved out of the media, we should not expect much as a country in terms of real journalism.